Dr Mark Moore provides anesthesia and pain management to patients at Tallahassee Memorial Hospital. He has sub-specializations in obstetric, gynecologic and pediatric anesthesia and Board-Certifications in Anesthesiology, Pain Management, and Pharmacy. To help patients with cancer, and children with seizures, Dr Moore opened the MEDCAN Doctors Office. MEDCAN was the first physicians office in the State of Florida dedicated entirely to certifying patients for medical cannabis under Florida Law. Now, the MEDCAN Certification office has grown into one of North Florida’s largest and most respected centers for qualified patients for medical marijuana. In September 2018, Dr Moore, a leading expert in the field of cannabis medicine, was chosen by the Florida Department of Health to be on the THC-Dose Determination Panel for the State. 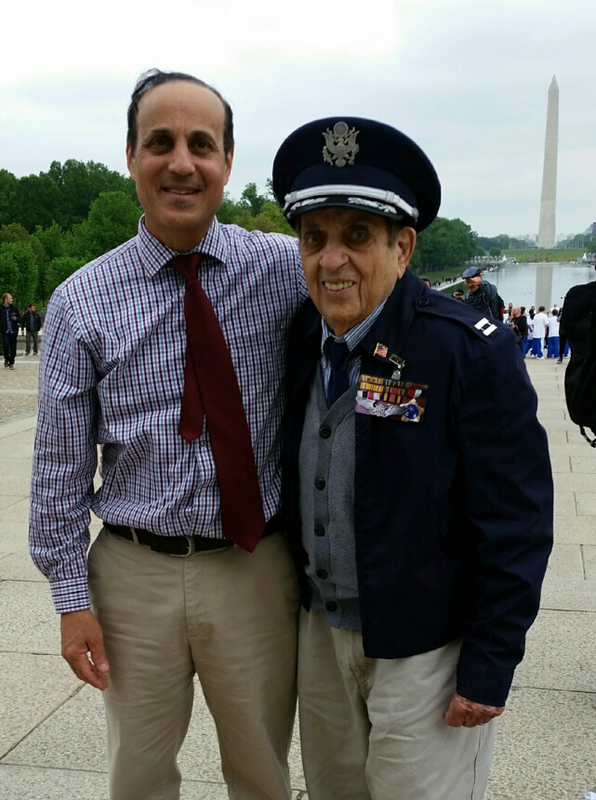 Dr Moore joined the Honor Flight Team as a Veteran Guardian in April 2016, to accompany his dad a World War 2 veteran, at the time 92 years old, to visit the memorial in Washington, DC. His dad passed away January 29, 2017. In 2017, Dr Moore accompanied Vietnam Veteran Donald Clements to the Vietnam Memorial and other Monuments as part of Honor Flight. They are seen here with 100 year-old WW2 Veteran Mr.Bernstein, who survived the D-Day landing on Omaha Beach. The Florida Board of Medicine appointed Dr Moore as an expert witness on their physician review panel for Anesthesiology for 6 consecutive terms July 2010 to July 2016. Dr. Moore founded The Freedomscope Project. He was the first person to transmit auscultated heart and lung sounds with a wireless stethoscope using Bluetooth under a U.S. Patent. Dr Moore was recently honored with an appointment to the Board of Trustees of Florida Tax Watch, the Panel for Health Care for 2016. In April 2010, Dr.Moore was awarded the Carnegie Hero Medal by the Carnegie Foundation, for helping rescue a family from burning in an automobile crash. The Tallahassee Police Department awarded Dr.Moore the "Tallahassee Police Citizens Service Award" in October 2008 for his assistance to the department and he received a governor's letter of recognition from Florida Governor Charlie Christ. The State of Florida appointed Dr Moore to the first team of Office Surgery Inspectors for the Florida Board of Medicine and he served as a State Inspector from September 2000 to 2007. He has delivered medical care and taught medicine at two missionary hospitals--for the Missionary Sisters of Charity in Rabaul, Papua New Guinea and for the American Society of Anesthesiologists with Dr. Nicholas Greene at Kilimanjaro Christian Medical Center, Moshi Tanzania. He wrote of his journey in an article published by the ASA called "Teach Me To Fish." Through the years, Dr Moore has given over 10,000 hours of his time to charitable organizations and directly to people in need. Dr. Moore is active in the local community and is the current president of the Old Town Neighborhood Association, and is on the board of the Leon High School Foundation. He and his wife were married in Davos. Their family lives in Tallahassee Florida. Dr. Moore is on the panel of the following insurance companies: Capital Health Plan, Blue Cross/Blue Shield, United Health Care, Vista, Cigna, Humana, Aetna, and most others. If you are uninsured or recently lost your job or insurance, we will significantly reduce or write off your bill entirely. Continuously active licenses in Florida and Kentucky since 1993 and South Carolina since 1988. Learn more about our current privacy and information practices. To have objectionable or potentially copyrighted material evaluated for removal, click here. This web page is best viewed in 1024 x 768 resolution. Last updated November 2018. Over 3,625,000 page views. This web site is maintained by Washington Publishers, Tallahassee Florida, USA, and uses Sun Domains and Software.